The BAD BOY Vale Tudo T-shirt is a homage to our Vale Tudo roots. The first Vale Tudo fights took place in Brazil during the 20th century and featured full-contact fighting with very few rules. Vale Tudo is what started the evolution of Mixed Martial Arts. The Bad Boy Training Range is designed to help fighters and athletes enhance their workout performances and recover faster. Compression fiber, fast drying fabric, 4D material, flat seams or ergonomic construction. 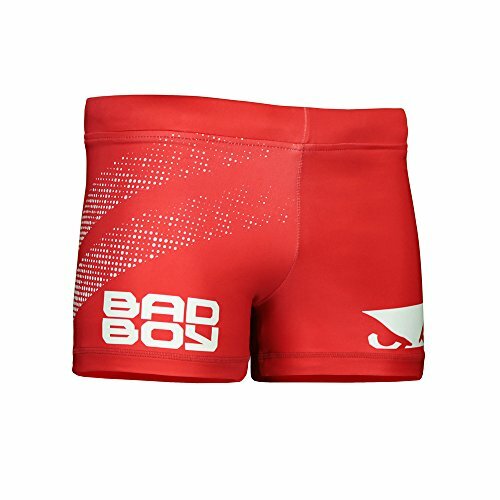 Each Bad Boy Training piece is engineered to help you outperform each training level. How? By easing the sweat evacuation through the outer surface where it is quickly evaporated, so you stay cool, dry and light. By providing optimal pressure on your muscles for enhanced support and significant reduction of stressful muscular vibrations. By bringing more oxygen to your muscles and limiting lactic acid production for faster recovery.By avoiding any discomfort to make you focus on your goal. If you have any questions about this product by Bad Boy Mma, contact us by completing and submitting the form below. If you are looking for a specif part number, please include it with your message.